Working at Anthropologie has given me the benefit of meeting some extraordinarily talented people: artists, designers and creative minds of all sorts. One such individual is Nathalie Shible, an assistant apparel manager at my store. Nathalie has been a devoted textile designer and printmaker for years, having studied graphic design and textiles at university. She is primarily inspired by nature: the colours and patterns she encounters in her day-to-day life. 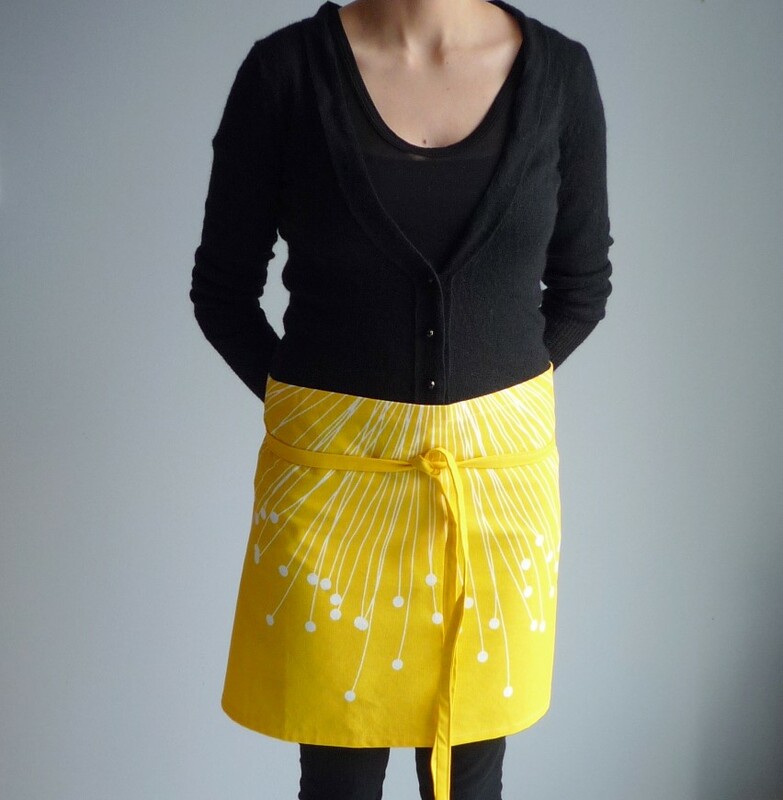 Nathalie has an Etsy shop - The Lime Shop - where she sells her wares, primarily kitchen linens, such as aprons, napkins and tea towels. You can also follow Nathalie on her blog. 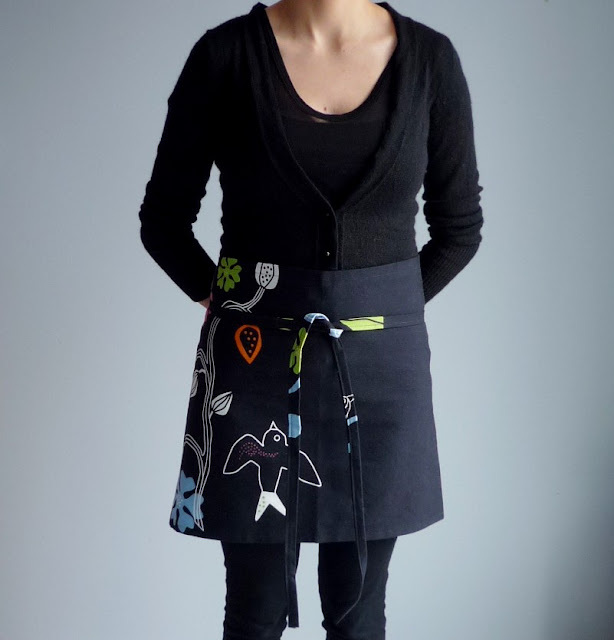 All of her work is embellished with a design she created herself, printed by hand and then stitched and sewn by hand. The textiles she uses are chosen for their durability and sustainability. (Nathalie always keeps the environment in mind!) Last year she was featured in Uppercase magazine. Below are some examples of her work. A gorgeous, bright yellow with a floral starburst pattern in white: clean and modern. 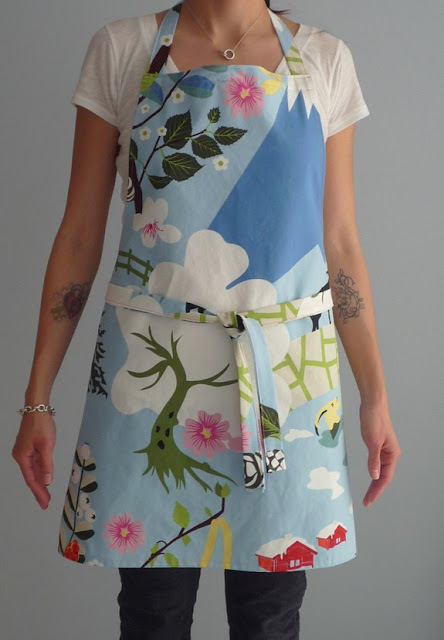 An extraordinarily beautiful apron. I love the print and the colours. For my birthday, Nathalie made me these two beautiful tea towels, which I will treasure. This one is my favourite. 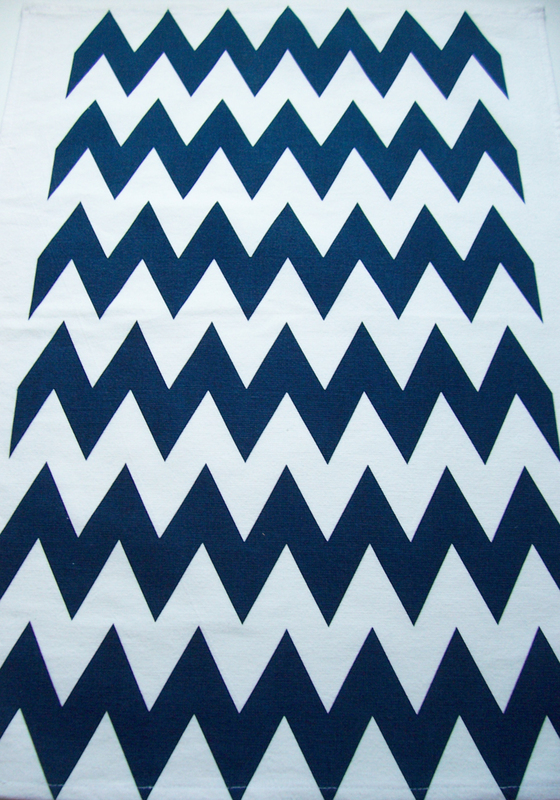 The print was inspired by a road trip Nathalie took through Pennsylvania. The lasting memory for Nathalie was a plethora of trees, branches partially exposed through the leaves. 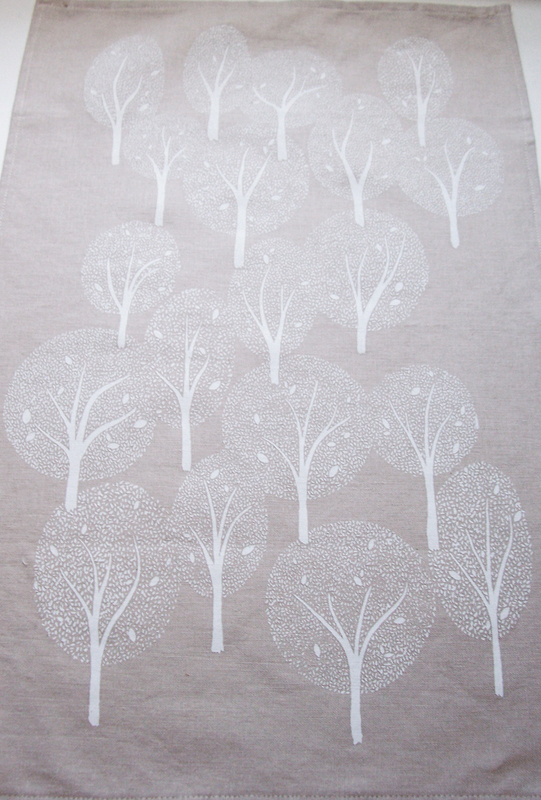 The design is delicate, intricate and still simple, printed on a gray/brown linen. Really pretty. I love to shop at Anthropologie while in London, one of my favorite shops. Beautiful tea towels for your birthday Andrew.